James Leland Bland peacefully passed away on February 9, 2019, at Heritage Health in Robinson, IL. Rev. Bland was born in Eminence, KY on March 31, 1935, to Lewis and Louise Melone Bland. He was ordained to the ministry by Harrods Creek Baptist Church in 1957. Over the course of 60 years, he pastored churches in Kentucky, Ohio, and Florida. A graduate of Campbellsville and Georgetown Colleges, he married Opal Louise Moore, December 27, 1957, and she survives. In addition to pastoring churches, Rev. Bland also taught school in Oldham and Bullitt Counties (KY) for many years. He was a member of the National Guard, based at Fort Knox, where he learned to cook large quantities of soup and chili, a trait that both amused and frustrated his children. He also worked various summer jobs farming, harvesting tobacco, and as a camp director. As pastor of Memorial Baptist Church in Eaton, OH, Rev. Bland led the congregation in an ambitious building project, coordinating both volunteers and professionals in building a new sanctuary with educational and fellowship space, a project of which he was especially proud. Rev. 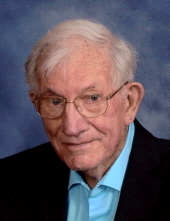 Bland is survived by his wife, Opal Bland (Palestine, IL); by his four children, Karen Russell (Palestine, IL), Teresa Burrows (Pendleton, KY), Mark & wife Carol Bland (West Alexandria, OH), and Stephen & wife Kimberly Bland (Westfield, IN); by seven grandchildren and one great-granddaughter; as well as by one sister, Florence & husband Bill Barnard (Avon Park, FL). He was preceded in death by his parents; two sisters, Evelyn Jones and Wanda Sharp; and an infant brother, Luther Douglas. A time of visitation will be held from 1:00-3:00 p.m. on Saturday, February 16th at the Sligo Baptist Church, located at 65 North 42 Loop Pendleton KY 40055. A memorial service will be held at 3:00 p.m. on Saturday at the church, and interment of his cremated remains will later be held in the Sligo Baptist Cemetery. Goodwine Funeral Homes is handling local cremation arrangements. His family requests that in lieu of flowers, memorial gifts be made to “Florida Baptist Children’s Homes”, P.O. Box 8190 Lakeland, FL 33802. To send flowers or a remembrance gift to the family of James Leland Bland, please visit our Tribute Store. "Email Address" would like to share the life celebration of James Leland Bland. Click on the "link" to go to share a favorite memory or leave a condolence message for the family.